Get organized with this traditional dresser. 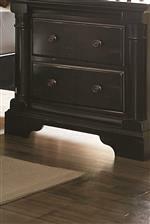 Featuring solid wood drawer construction with metal guides and bronze hardware knobs. This piece features raised panel doors and drawers. 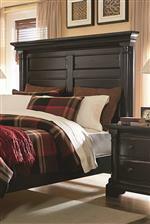 The dresser boasts ornately shaped edges and moldings for a tastefully dramatic look. Pair with the matching mirror to complete the set. 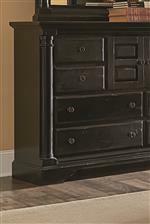 The Gramercy Park Traditional Dresser with Raised Panel Drawers and Doors by Progressive Furniture at AHFA in the area. Product availability may vary. Contact us for the most current availability on this product. Storage Eight Drawers and Two Panel Doors.